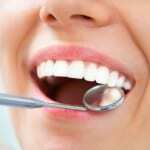 We want you to remember that not only do we provide general dental services, but we also do cosmetic dental work. When it comes to taking care of your teeth, you only want the best. At Georgian Shores Dental Centre, we realize this and only want the best for our patients, which is why we take such special care to provide a wide range of dental services. Whether you need to have a cavity filled or you simply need to have your teeth cleaned and examined, we are confident we can meet your needs, whatever they may be. We want you to remember that not only do we provide general dental services, but we also do cosmetic dental work. For example, we whiten teeth and do full mouth restorations. Our goal is to make sure you leave our office every single time feeling like you are on your way to your best smile. While we take great pride in the quality of our dental services, what we really try to focus on is customer service. We want you to feel comfortable and relaxed whenever you come into our office, and we will do whatever it takes to make this happen. In turn, we hope that you will always ask us questions and let us know about any concerns you might have. The next time you need to see a dentist, we want you to come and see us at Georgian Shores Dental Centre. To find out more about our dental services or to set up your next appointment, please give us a call today!